The e-commerce/virtual terminals allow for a secure online shopping experience. When clients make online purchases, the Secure Sockets Layer, or SSL, technology ensures that all their information stays encrypted and inaccessible to unauthorized people. You can run a secure and successful internet business, and your clients will know that their payments are protected. QuickBooks is a software that Merchant Account Solutions offers for payment processing and invoicing. QuickBooks is a leader in data security. The software enables a business to track their account activity, and all information is password-protected and only accessible on authorized devices. The servers are heavily guarded from viruses and hackers. You can have both portability and security. The SmartSwipe terminal is a payment terminal that plugs into your tablet or mobile device with a USB plug. SmartSwipe encrypts customers’ information as soon as their cards are swiped, and the data is protected with the highest levels of security. Physical terminals for retail and restaurants also take safety to the next level and are always in compliance with the latest safety standards. 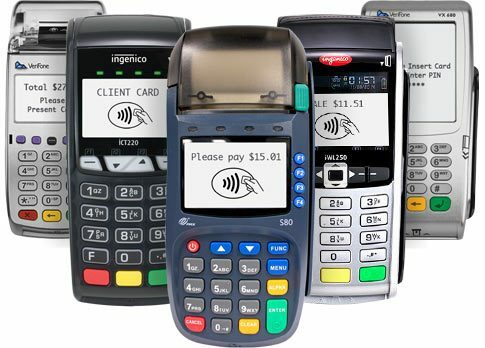 Merchant Account Solutions only offers the most secure payment terminals. For example, the Clover Station, a popular payment terminal, comes equipped with several safety mechanisms. It is only accessible with a password and blocks people from paying with stolen cards. When displaying information, the “Customer View” setting shows just the current transaction data, and only the last 4 digits of account numbers are printed on the receipts. All information is protected by SSL technology. These safety features make Merchant Account Solutions a smart choice for your business. If you would like more information, please contact a representative today.